I needed to run a quick errand and didn't want to redress myself since I didn't need to get out of the car. There I stood with a shirt full of dog and goat hair, banana smoosh spot from a hug I got after kids made banana bread and a few more unknown smudges LOL. I was a mess and didn't realize how bad! So with baggie work jeans (hey they are comfy) wearing my dirty shirt, I slipped on my shoes. What a sight! I grabbed my sweater and zipped it up, hoping to hide the messy shirt. While Driving it hit me how often we do the same thing with our lives. Cover our sin, our pain and sorrow with a clean outer shell. It's an illusion of being fine. But under that clean shell the suffering remains. I saw a church skit one time about selling "press on faces." They had one for every occasion. "Run into an acquaintance" face, "In laws come over" face, and one we all may have worn one time or another, The "Church face". The skit was hilarious, but the truth behind it was sad. Like my sweater, covering up what is really there, beneath the falsehood, the lie, my shirt was still dirty. What is your cover up? Laughter?, Being gruff? continuously doing for others? Hiding? Have you heard this before? " If you aren't breaking any laws, you should not worry if there is a police officer behind you"
How about this? If you aren't breaking any of His Laws, then you wont worry when you stand before Him." We are called to be children of the light. Yet so many live like a child of the world. It's not easy to Live our Faith. There are so many worldly things that drive a wedge between our spirit and our flesh. When told of 2 beast living in man, one who looks to destroy and the other full of kindness and compassion, a boy asked of an old man, which beast will win, the old man answered, " the one you feed" Feed the flesh and the flesh will destroy the Spirit. Feed the Spirit and have the strength to over come the flesh. The world offers lies, joy for the moment but GOD offers eternal joy, joy that never ends. Feed The Spirit. It's easy to be "Christian" when you are among Christians. But what about while in the world? Sometimes we don't get to choose who we are around. Jobs, school and other out in the world activities can be filled with opportunities to shine. Ask yourself, "Do I shine or do I allow myself to fall in favor of the world?" Am I the same person in church as I am out of church? Do I change my way of talking according to who I spend my time with? What about my way of acting? DO I SHINE? Well, Do you? Christmas was never suppose to be about trees and presents, decorations and lights. Christmas was never suppose to be a time filled with sadness and despair. 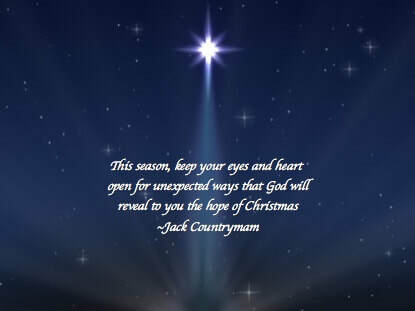 Christmas IS about Hope, Charity, Peace and Promise. God sent his son to become man..to live among us and show himself, the fullness of true love. To bring peace, joy, hope charity and promise. Miracles. Have you seen any lately? With busy fast paced lives, I fear we miss them all too often. But God is still in the miracle business. A dear friend recently suffered a stroke. But within 2 hours she was in surgery having the blood clot suctioned out. Today, only a week or so out she is 100% back to normal. That is a miracle!! But when visiting her she told me that the true miracle was if she had the stroke while in bed, no one would have found her or thought anything strange her napping, instead she fell in her living room where she was quickly found. The events of that day is nothing short of a miracle. God sees us, knows us and is working in our lives to fulfill his will. We can all too often focus on the stroke and miss the miracle. As we get together for Thanksgiving, lets dig deep in our hearts and remember the miracles we have seen. Lets thank God for everyone we remember! Give the gift of listening!! We are often so eager to speak we run right on top of another speaking. We speak louder to be heard. If we all would stop, wait and listen, we will have our turn, and conversation will become relaxed. The reward is you may hear something you would otherwise miss. Listening is a gift we give others..it says " you are important". With 8 children it can be hard to always know how to pray about or for everyones situation. Each having their own personalities and struggles. Some days Im beside myself with the challenge. I don't always know what words to pray about decisions they make, especially decisions I may disagree with. 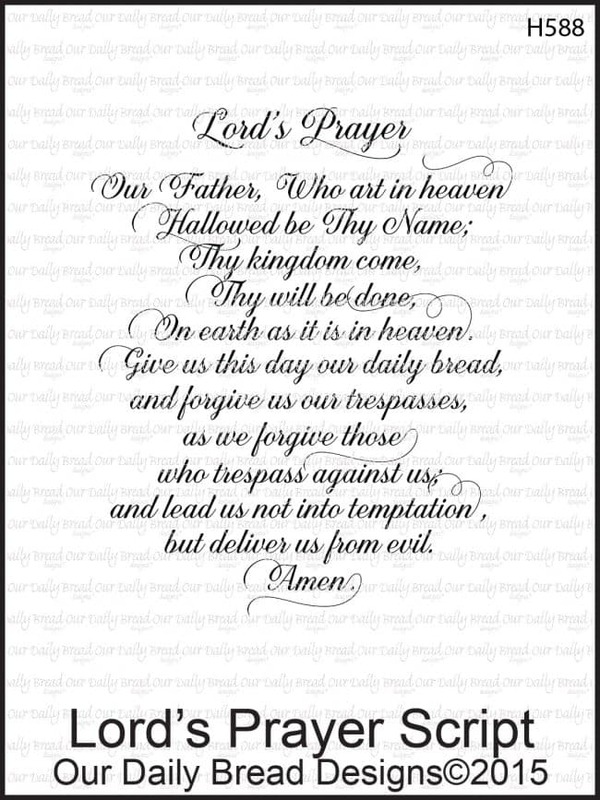 I recently shared with a friend that there are times all I can do is claim a small piece of the Lords prayer..."Thy Will be done" It is enough. As a home school mom, being home basically 24/7, together, day in and day out you can easily begin to focus on the trials and not the joys. Nerves can become raw and attitudes edgy!! Soon the home can feel like a trap and not a safe haven. Stress can over whelm everyone with in its walls. Time to take the rug out and beat the dust from it, to wash windows to let the sun shine through. Time to refocus and revamp our minds and hearts. Time to look for and see the joy. Take not Thy holy Spirit from me.